Republika font is decorative font which is designed by Apostrophic Labs. This font is labeled as Sci-fi font. Republika font family has 38 variant. Republika - Sktech font is one of Republika font variant which has Italic style. This font come in ttf format and support 221 glyphs. 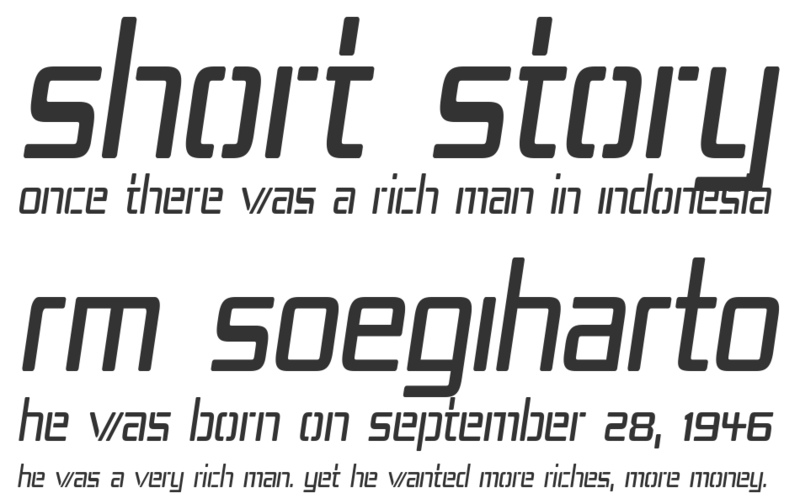 Based on font metric, Republika - Sktech Italic has usweight 400, width 5, and italic angle -12. This font is labeled as . Republika II Cnd font is one of Republika font variant which has Regular style. This font come in ttf format and support 229 glyphs. Based on font metric, Republika II Cnd Regular has usweight 400, width 5, and italic angle 0. This font is labeled as . Republika II Cnd font is one of Republika font variant which has Italic style. This font come in ttf format and support 229 glyphs. Based on font metric, Republika II Cnd Italic has usweight 400, width 5, and italic angle -12. This font is labeled as . Republika II Exp font is one of Republika font variant which has Regular style. This font come in ttf format and support 229 glyphs. 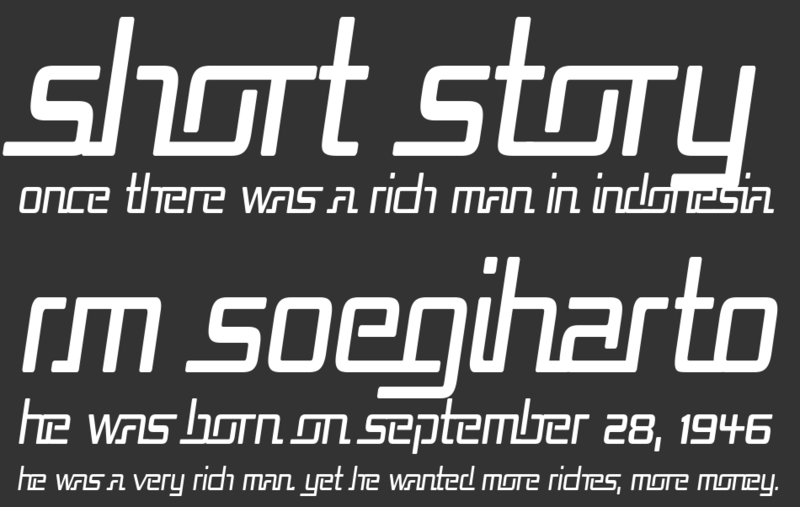 Based on font metric, Republika II Exp Regular has usweight 400, width 5, and italic angle 0. This font is labeled as . Republika II Exp font is one of Republika font variant which has Italic style. This font come in ttf format and support 229 glyphs. 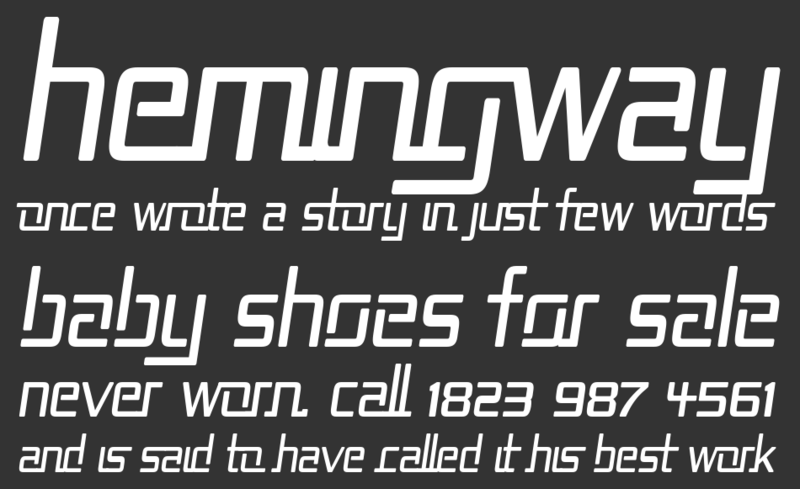 Based on font metric, Republika II Exp Italic has usweight 400, width 5, and italic angle -12. This font is labeled as . Republika III Cnd font is one of Republika font variant which has Regular style. This font come in ttf format and support 226 glyphs. 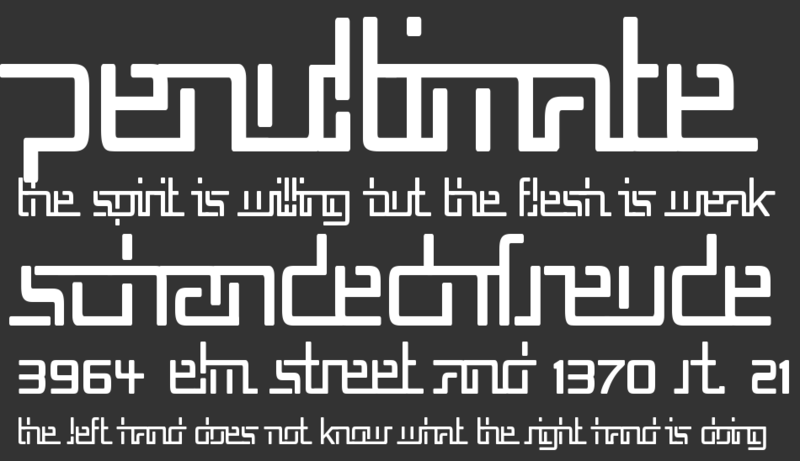 Based on font metric, Republika III Cnd Regular has usweight 400, width 5, and italic angle 0. This font is labeled as . Republika III Cnd font is one of Republika font variant which has Italic style. This font come in ttf format and support 226 glyphs. Based on font metric, Republika III Cnd Italic has usweight 400, width 5, and italic angle -12. This font is labeled as . Republika III Exp font is one of Republika font variant which has Regular style. This font come in ttf format and support 226 glyphs. Based on font metric, Republika III Exp Regular has usweight 400, width 5, and italic angle 0. This font is labeled as . Republika III Exp font is one of Republika font variant which has Italic style. This font come in ttf format and support 226 glyphs. 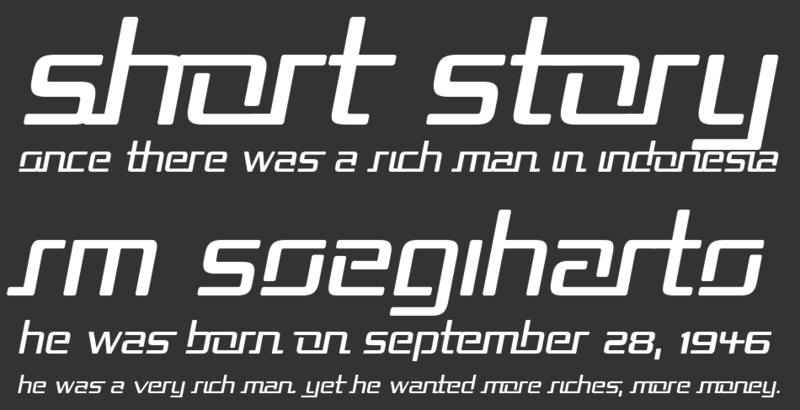 Based on font metric, Republika III Exp Italic has usweight 400, width 5, and italic angle -12. This font is labeled as . Republika IV Cnd font is one of Republika font variant which has Regular style. This font come in ttf format and support 226 glyphs. Based on font metric, Republika IV Cnd Regular has usweight 400, width 5, and italic angle 0. This font is labeled as . Republika IV Cnd font is one of Republika font variant which has Italic style. This font come in ttf format and support 226 glyphs. Based on font metric, Republika IV Cnd Italic has usweight 400, width 5, and italic angle -12. This font is labeled as . Republika IV Exp font is one of Republika font variant which has Regular style. This font come in ttf format and support 226 glyphs. 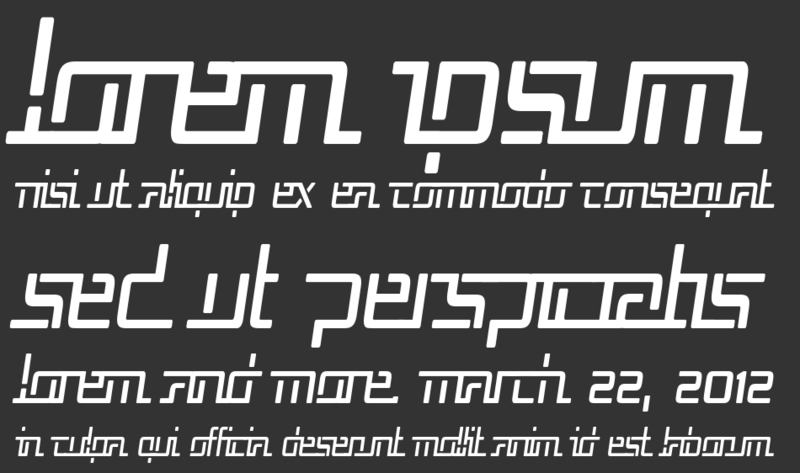 Based on font metric, Republika IV Exp Regular has usweight 400, width 5, and italic angle 0. This font is labeled as . Republika IV Exp font is one of Republika font variant which has Italic style. This font come in ttf format and support 226 glyphs. Based on font metric, Republika IV Exp Italic has usweight 400, width 5, and italic angle -12. This font is labeled as . Republika V Cnd font is one of Republika font variant which has Regular style. This font come in ttf format and support 226 glyphs. Based on font metric, Republika V Cnd Regular has usweight 400, width 5, and italic angle 0. This font is labeled as . Republika V Cnd font is one of Republika font variant which has Italic style. This font come in ttf format and support 226 glyphs. Based on font metric, Republika V Cnd Italic has usweight 400, width 5, and italic angle -12. This font is labeled as . Republika V Exp font is one of Republika font variant which has Regular style. This font come in ttf format and support 226 glyphs. Based on font metric, Republika V Exp Regular has usweight 400, width 5, and italic angle 0. This font is labeled as . Republika V Exp font is one of Republika font variant which has Italic style. This font come in ttf format and support 226 glyphs. Based on font metric, Republika V Exp Italic has usweight 400, width 5, and italic angle -12. This font is labeled as . Republikaps Cnd font is one of Republika font variant which has Regular style. This font come in ttf format and support 226 glyphs. Based on font metric, Republikaps Cnd Regular has usweight 400, width 5, and italic angle 0. This font is labeled as . Republikaps Cnd font is one of Republika font variant which has Italic style. This font come in ttf format and support 226 glyphs. Based on font metric, Republikaps Cnd Italic has usweight 400, width 5, and italic angle -12. This font is labeled as . Republikaps Exp font is one of Republika font variant which has Regular style. This font come in ttf format and support 226 glyphs. Based on font metric, Republikaps Exp Regular has usweight 400, width 5, and italic angle 0. This font is labeled as . Republikaps Exp font is one of Republika font variant which has Italic style. This font come in ttf format and support 226 glyphs. Based on font metric, Republikaps Exp Italic has usweight 400, width 5, and italic angle -12. This font is labeled as . Republika II font is one of Republika font variant which has Regular style. This font come in ttf format and support 229 glyphs. 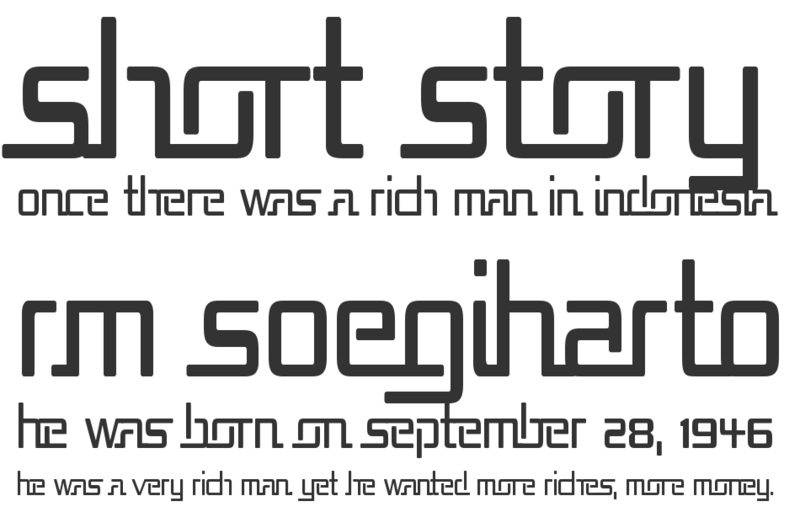 Based on font metric, Republika II Regular has usweight 400, width 5, and italic angle 0. This font is labeled as . Republika II font is one of Republika font variant which has Italic style. This font come in ttf format and support 229 glyphs. Based on font metric, Republika II Italic has usweight 400, width 5, and italic angle -12. This font is labeled as . Republika III font is one of Republika font variant which has Regular style. This font come in ttf format and support 226 glyphs. Based on font metric, Republika III Regular has usweight 400, width 5, and italic angle 0. This font is labeled as . Republika III font is one of Republika font variant which has Italic style. This font come in ttf format and support 226 glyphs. Based on font metric, Republika III Italic has usweight 400, width 5, and italic angle -12. This font is labeled as . Republika IV font is one of Republika font variant which has Regular style. This font come in ttf format and support 226 glyphs. 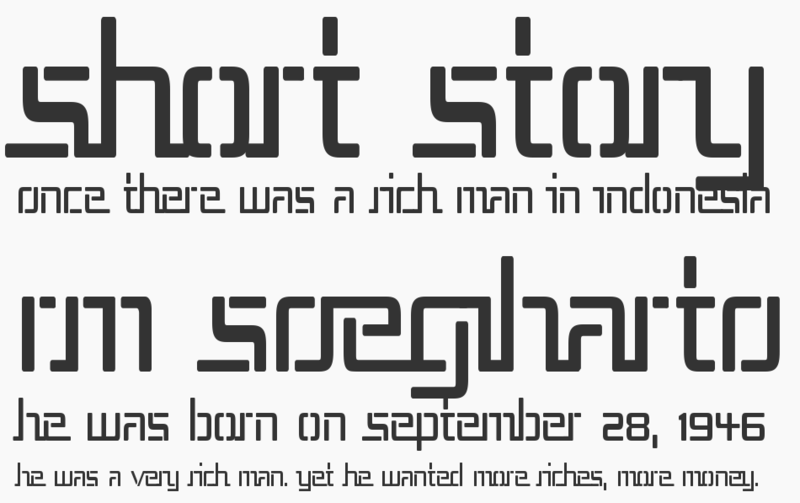 Based on font metric, Republika IV Regular has usweight 400, width 5, and italic angle 0. This font is labeled as . Republika V font is one of Republika font variant which has Regular style. This font come in ttf format and support 226 glyphs. Based on font metric, Republika V Regular has usweight 400, width 5, and italic angle 0. This font is labeled as . Republika V font is one of Republika font variant which has Italic style. This font come in ttf format and support 226 glyphs. Based on font metric, Republika V Italic has usweight 400, width 5, and italic angle -12. This font is labeled as . Republika font is one of Republika font variant which has Regular style. This font come in ttf format and support 226 glyphs. Based on font metric, Republika Regular has usweight 400, width 5, and italic angle 0. This font is labeled as . Republika font is one of Republika font variant which has Italic style. This font come in ttf format and support 226 glyphs. Based on font metric, Republika Italic has usweight 400, width 5, and italic angle -12. This font is labeled as . Republikaps font is one of Republika font variant which has Regular style. This font come in ttf format and support 226 glyphs. Based on font metric, Republikaps Regular has usweight 400, width 5, and italic angle 0. This font is labeled as . Republikaps font is one of Republika font variant which has Italic style. This font come in ttf format and support 226 glyphs. Based on font metric, Republikaps Italic has usweight 400, width 5, and italic angle -12. This font is labeled as . Republika Cnd font is one of Republika font variant which has Regular style. This font come in ttf format and support 226 glyphs. Based on font metric, Republika Cnd Regular has usweight 400, width 5, and italic angle 0. This font is labeled as . Republika Cnd font is one of Republika font variant which has Italic style. This font come in ttf format and support 226 glyphs. Based on font metric, Republika Cnd Italic has usweight 400, width 5, and italic angle -12. This font is labeled as . Republika Exp font is one of Republika font variant which has Regular style. This font come in ttf format and support 226 glyphs. Based on font metric, Republika Exp Regular has usweight 400, width 5, and italic angle 0. This font is labeled as . Republika Exp font is one of Republika font variant which has Italic style. This font come in ttf format and support 226 glyphs. 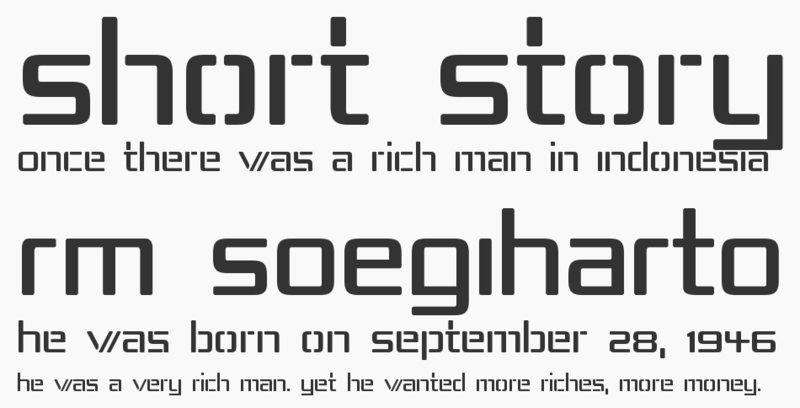 Based on font metric, Republika Exp Italic has usweight 400, width 5, and italic angle -12. This font is labeled as . Republika - Sketch font is one of Republika font variant which has Regular style. 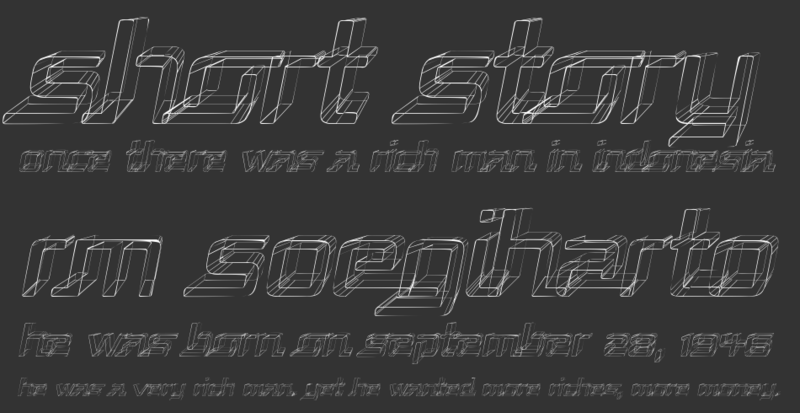 This font come in ttf format and support 227 glyphs. 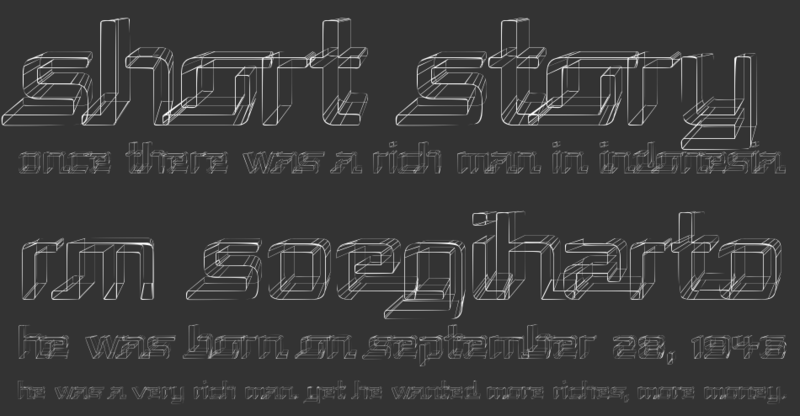 Based on font metric, Republika - Sketch Regular has usweight 400, width 5, and italic angle 0. This font is labeled as .